Cast away the stress and hassles of travel when you walk through our front doors. Oversized guest suites that are relaxing and restful. Our guaranteed Delightful Guest Service. 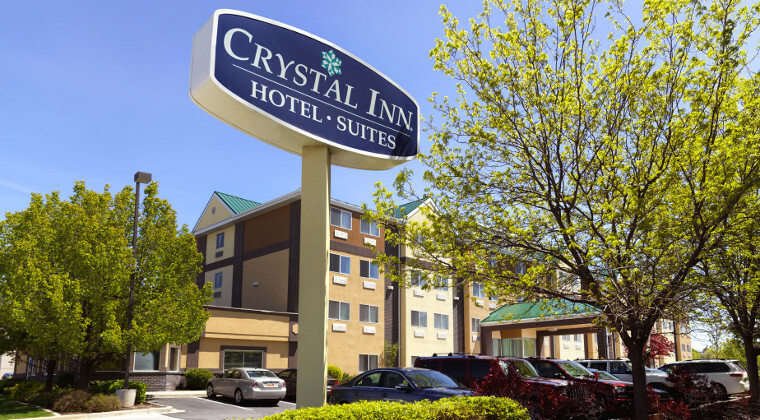 Crystal Inn Hotel & Suite's large room sizes, delicious breakfast offerings, shuttle service, high-speed wireless Internet access, Internet Cafe, in-room refrigerators, and microwaves are delivered without additional cost.